Zanu-PF has re-admitted Bikita West House of Assembly representative Dr Munyaradzi Kereke into the party. He was expelled from the party for insubordination after he defied a directive not to contest the Bikita West seat on a Zanu-PF ticket in last year’s harmonised elections. Dr Kereke refused to pave way for the preferred candidate Cde Elias Musakwa. Zanu-PF went on to field two candidates. Dr Kereke won the election after defeating Cde Musakwa and Mr Heya Shoko of MDC-T. 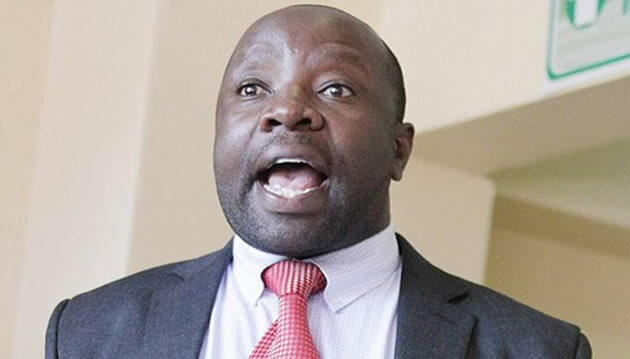 The Masvingo provincial council recommended the re-admission of Dr Kereke at the just-ended 6th Zanu-PF National People’s Congress held in Harare. Zanu-PF acting Masvingo provincial chairman Cde Paradzai Chakona yesterday confirmed the re-admission of Dr Kereke into the party. Cde Chakona said the Zanu-PF Politburo did not object to a recommendation by the Masvingo provincial council. “The issue (of Dr Kereke) was tabled before the Politburo and there were no objections to our request to have him re-admitted. We are now just waiting for official correspondence from the new secretary for administration Dr Ignatius Chombo but the matter was finalised before congress,’’ said Cde Chakona. The Zanu-PF acting chairman said they expected Dr Chombo to officially communicate the decision to the province soon. The re-admission of Dr Kereke was also confirmed by Politburo member Cde Josaya Hungwe. “Dr Kereke’s issue was dealt with and it was agreed that there was nothing wrong with a recommendation from Masvingo province to have him re-admitted into Zanu-PF,’’ said Cde Hungwe. Delegates who attended the Zanu-PF inter-district conference held prior to congress overwhelmingly endorsed the decision to re-admit Dr Kereke. This was after Zanu-PF structures in Bikita had made submissions requesting the Masvingo provincial leadership to recommend Dr Kereke’s re-admission into the party. They said re-admitting Dr Kereke would make Masvingo a one-party state as Zanu-PF would control all the 26 House of Assembly seats in the province.